This might have been the coolest catalog of all. Vox made about a gazillion different guitars and even though they were never at the level of Gibson or Fender, they had the cool factor above everyone else. I carried this around with me all through ’66. Imagine a world with no internet. OK, if you had to imagine it, you’re too young to get this post. But if you remember how life was before everyone was connected-like it or not-this may speak to you. Within the first minute or so of the Beatles first Ed Sullivan Show appearance, I decided I would be a guitar player. I share this moment with a few million kids around my age. I was 11 and a half at the time (February 9, 1964) and immediately started bugging my father for a guitar. He brought home a Kay flat top from Woolworths that cost him somewhere around 15 bucks. “Learn to play it and I’ll get you something better.” I think he figured he was safe since follow through was not my greatest strength as a child. But that’s a whole ‘nother story. 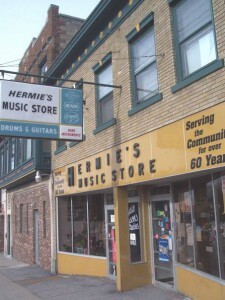 Hermie’s in Schenectady where retail plus 10% rules. Still there with the same sign out front. I’m pretty sure Hermie himself is no longer with us, however. I was thrown out of Hermies at least 25 times. 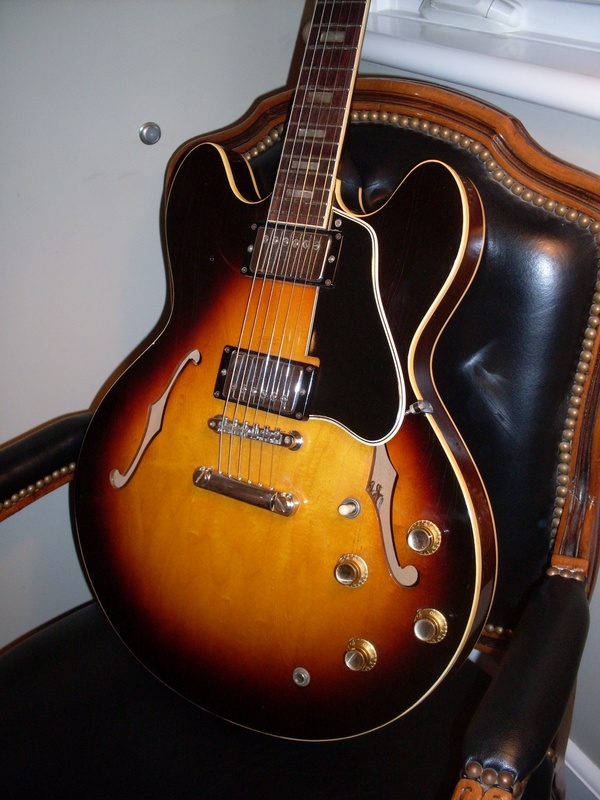 What strikes me now is how hard it was to know just what guitars were out there and who made them and how much did they cost and what made this guitar better than that guitar. We had just a few ways to learn about them. There were two music stores in Schenectady, NY where I grew up. The oft maligned (by me) Hermie’s who sold Fenders and Martins and would charge full retail plus another 10% to set up the guitar and deliver it (who charges to set up a new guitar?) The other music store was Georges and they sold Gibsons and cheap Japanese junk with the name St. George. The Gibsons were mostly big jazz boxes that were lined up in a glass case. Nobody was allowed to play them and especially not little kids. Hermies was even worse. Hermie would literally toss us out of his store if we didn’t intend to buy anything. Later-in 66 or 67, he would throw you out if you had long hair. So, at least we could see some of the guitars that were available from the big manufacturers and find out how much they cost. I remember asking for a Gibson brochure at Georges and a Fender brochure at Hermie’s. They both said essentially the same thing…”these brochures cost money” (which they didn’t-they were always free to dealers)-and “come back with your parents if you want one.” So, no brochures or catalogs. At least not from the local dealers. We would write a letter to the company and about 6 weeks later, get a catalog in the mail. I heard back from Fender, Gibson, Epiphone and Vox. I took them with me everywhere I went. They were in tatters from thumbing through them and drooling. TV was a great way to get a good look at the guitars of the day. 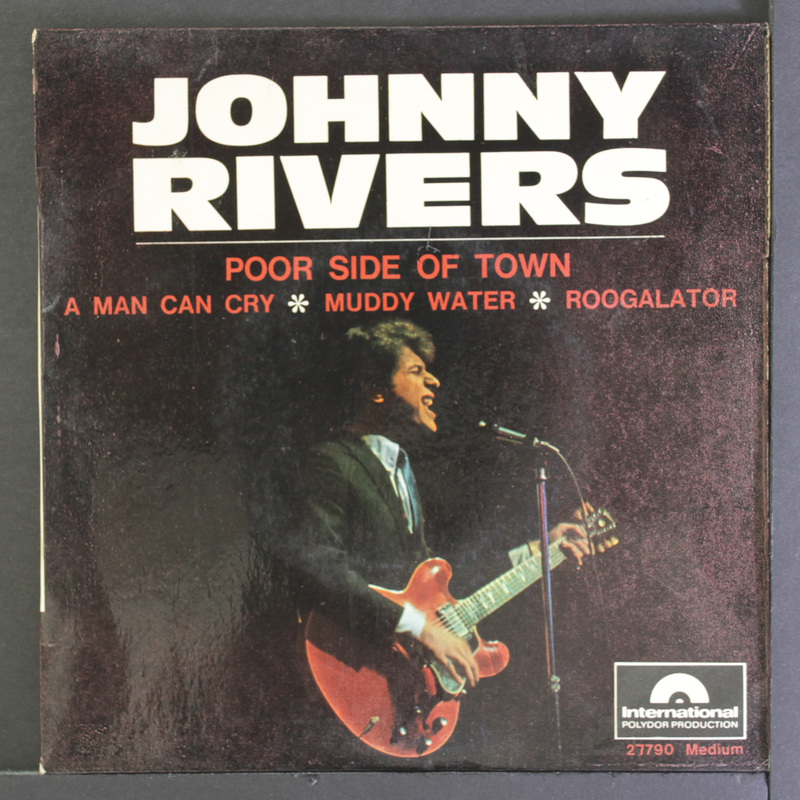 The first 335 I ever saw was in the hands of Johnny Rivers on the after school TV show “Shindig” or was it “Hullabaloo”. It was red but it was hard to tell on black and white TV. We didn’t get a color TV until around 67. Those two TV shows (and Bandstand) and a couple of others often gave us our first glimpse of a Jazzmaster or a Sheraton or a Vox Phantom. I remember seeing the Hollies on “Hullabaloo” and playing “Look Through Any Window” with Tony Hicks playing a Phantom 12. Coolest thing I ever saw. I went out and bought the single the next day and the Hollies were a personal favorite from that moment on. It was a pretty crappy 12 string once I got to play one years later but the coolness factor was off the charts. 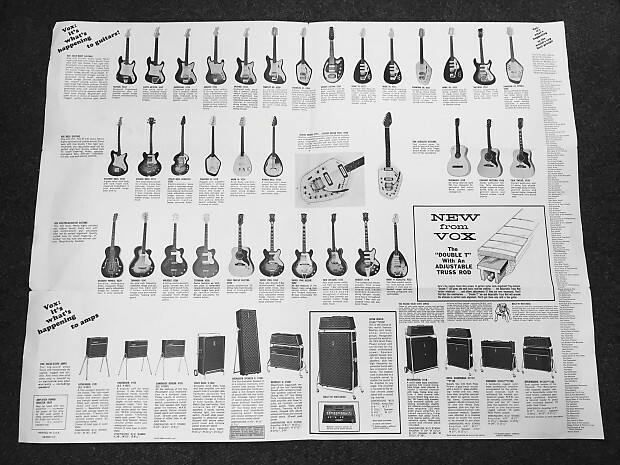 I remember getting the Vox brochure which was a big foldout affair that said “Vox: It’s What’s Happening.” A few years later, I would buy a Vox Royal Guardsman amp. Worst piece of crap I ever owned. Nice speakers though (Celestion Silvers) and a half decent built in fuzz. The thing was broken more often than it worked. 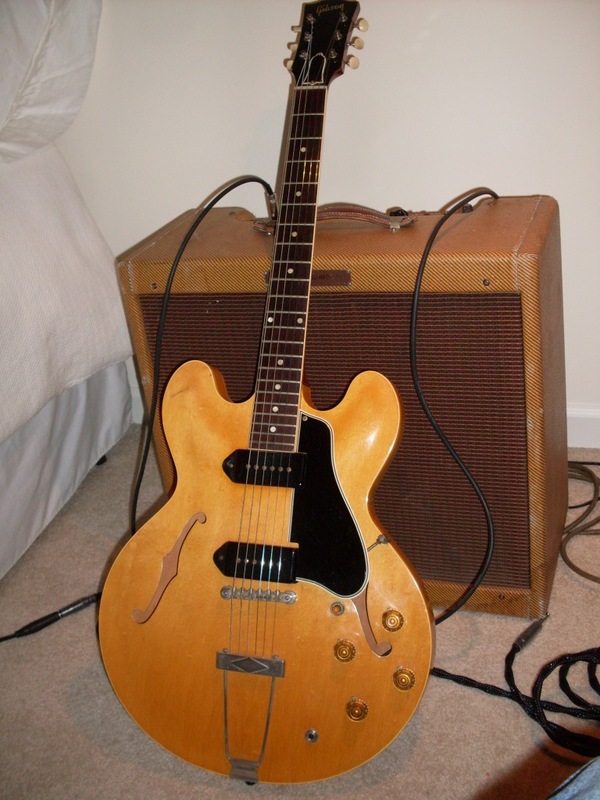 Traded it for ’64 Showman 15. The Fender brochure always had lots of cool stuff but the one that caught my eye was the Bass VI. Cool design, three pickups and a whammy but it was a bass and I was a guitar player. Why couldn’t they use that cool half Strat/half Jazzmaster body for a guitar? I didn’t actually own a Bass VI until last Friday when one walked into my shop and I bought it. Still a really cool guitar (uh, bass).